Different strokes for different folks. As Nigerians from all walks of life grapple with insecurity, the President is in no mood to hear what is agitating their minds. He is in campaign mood, at least so it seems. With close to 100 dead from neighbouring Benue and Nasarawa in a week, Buhari was in Bauchi yesterday. President Muhammadu Buhari, yesterday, reiterated that he will seek re-election for a second term in the 2019 general elections and will win again because he is a clean man and not corrupt like other past Nigerian leaders. 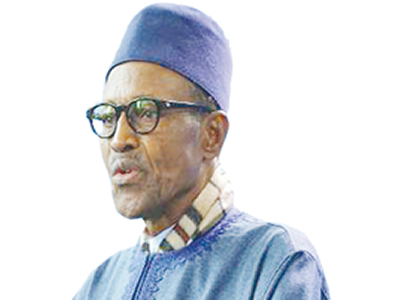 Buhari, who made the declaration in Bauchi as he began a two-day official visit to the state, said most past leaders looted the treasure and have more than 20 to 30 houses, while a majority of Nigerians cannot afford even a single room to sleep in because of poverty. Addressing a mammoth crowd at the Abubakar Tafawa Balewa Stadium, the President added that he doesn’t have the “mind to loot the treasury, while people are suffering,” and assured that he will fish out those who looted the treasury, while funds recovered from them will be remitted back to the nation coffers. “I will collect all your money and put it back into government coffers,” he said. He said the recovered funds would be used to develop the education, health, agriculture and security sectors, among others. “Any person that loots government’s fund will be made to return it to the treasury for utilization on the education, health and security sectors, among others,” he said. The president further said that the present administration had improved agricultural sector through provision of agricultural loans for Nigerian farmers. “The present administration has reduced the price of fertilizer and provided agricultural loans through the Central Bank of Nigeria (CBN), which improved farm yields in the recent past,” he said. He said that as a former military governor of the North Eastern State that comprised the entire North-East sub-region about 42 years ago, he was conversant with the challenges of the area. He stated that some years ago, he was a military leader, but that now, he was a democratically elected civilian president and, therefore, called on the people to be patient with the difference in the approach to governance. He then thanked the people of the state for their continuous support. He commended the Bauchi State governor, Mohammed Abubakar, for using the bailout funds received by his administration to clear salary arrears of civil servants as well as ensuring regular payment of salaries in the state. Earlier in his remarks, Governor Abubakar of Bauchi said that the state government was committed to boosting agricultural activities and reducing unemployment among the teeming youth in the state. The president later flagged-off the distribution of farm inputs and implements to farmers in the state. The items included tractors, ox ploughs, herbicides, seeds pesticides, and incubators, among others. He had also earlier inaugurated some rehabilitated roads in the state.